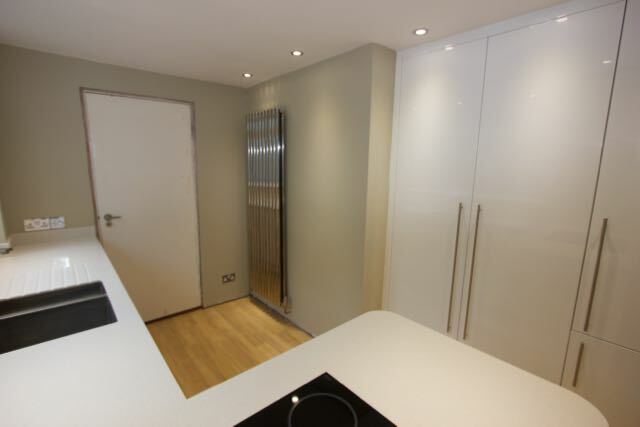 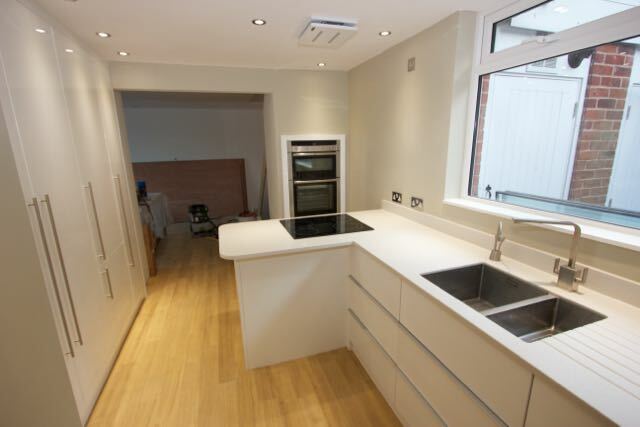 This is a kitchen we finished a week ago, it is a slightly unusual design with a flush oven and the fridge makes use of some space from a defunct doorway (which is the reason the cupboards either side of the fridge are shallower. 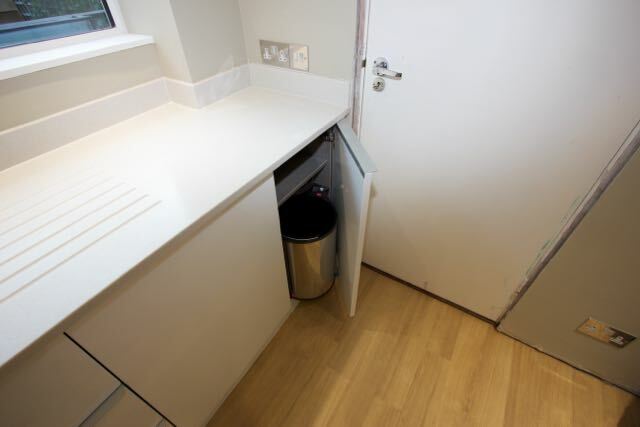 The peninsular unit has drawers from this side so as not to loose the space from a corner. 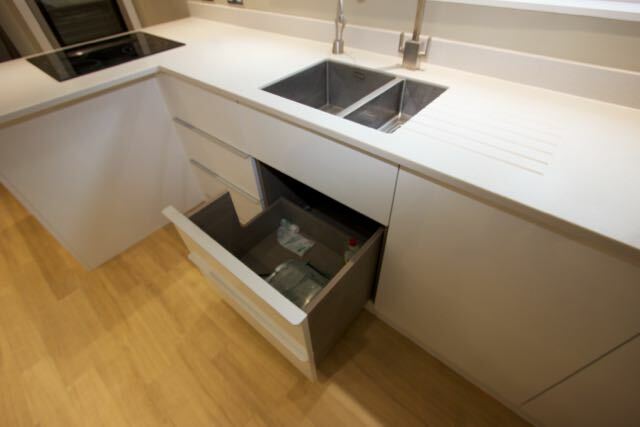 We have been fitting drawers like this for many years, they have become more popular in recent years. 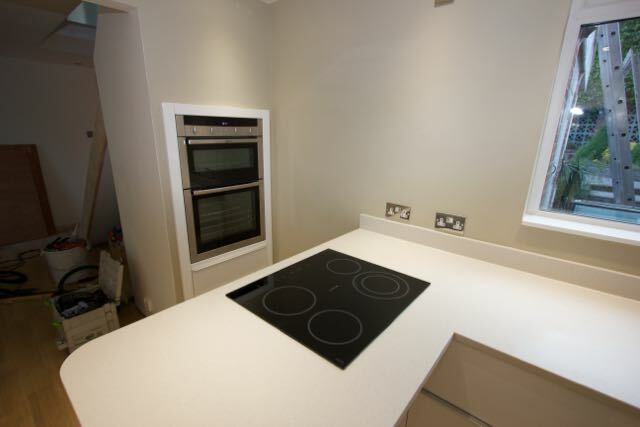 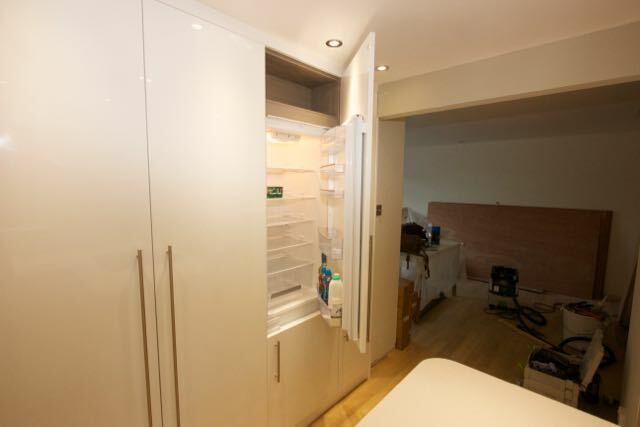 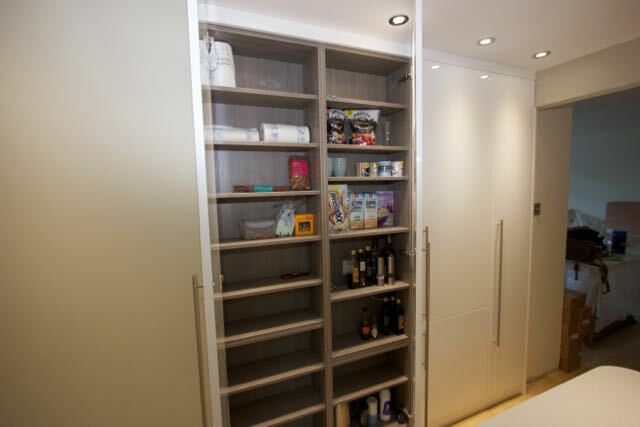 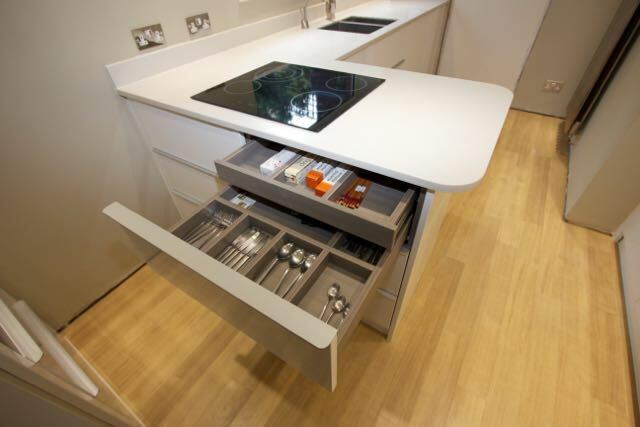 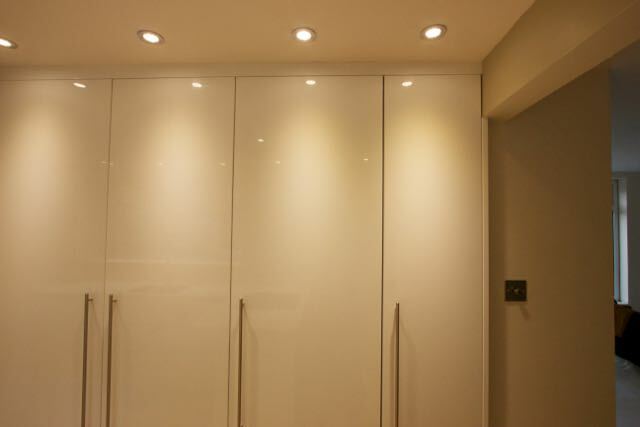 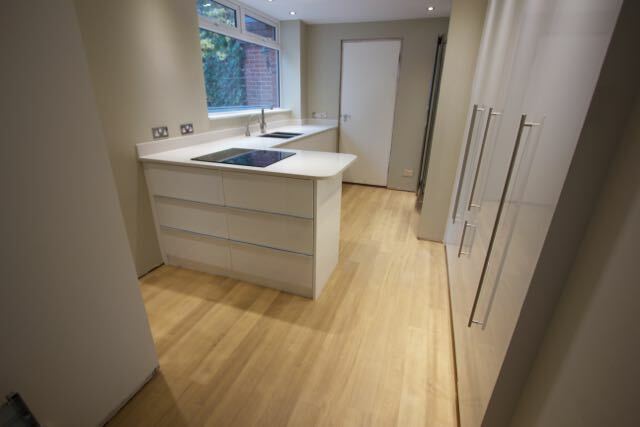 The space for these is made available in our kitchens by utilising a lower plinth height.